As a Maintenance Engineer you will play a key role in modernising and maintaining our prison Estate. We employ a diverse range of Maintenance Engineers to provide a comprehensive repairs and maintenance service across our Estate. We will invest in your development to allow you to learn and apply new skills which can include development into management roles. 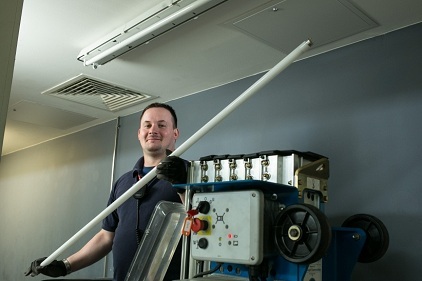 Our Electrical Maintenance Engineers support our Technical Managers in providing a comprehensive repairs and maintenance service for electrical and electronic systems such as CCTV, locking systems, Building Management Systems (BMS), heating and ventilation systems throughout each prison. To carry out this role you must have completed a recognised apprenticeship and have obtained a qualification in an electrical/electronic discipline to a minimum of National Certificate and SVQ Level 3 or equivalents. 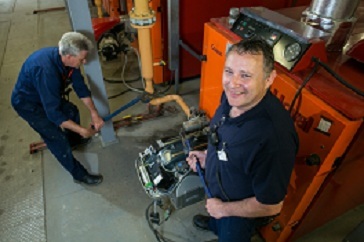 Our Mechanical Maintenance Engineers support our Mechanical Managers in providing a comprehensive repairs and maintenance service for the mechanical systems in each prison establishment such as plumbing, Building Energy Management Systems (BEMS), gas, heating and ventilation systems. To carry out this role you must have completed a recognised apprenticeship and have obtained a qualification in heating, plumbing and ventilation, to a minimum of National Certificate and SVQ Level 3 or equivalents. Our Systems Maintenance Engineers support our Technical Managers in providing a comprehensive repair, diagnostic, fault finding and maintenance service for systems within each prison. These include security systems, Building Energy Management Systems (BEMS), networks, mechanical locking and key vending. To carry out this role you must have completed a recognised apprenticeship and have obtained a minimum of a national certificate and an SVQ level 3 (or equivalents) in an M& or E building services related discipline such as IT based fire alarms/security systems, access controls role. Our Buildings Maintenance Engineers support and work with the Area Management Team in the delivery of all aspects of Estate building maintenance - inspections, fabric, installations, replacements and repairs. To carry out this role you must have completed a recognised apprenticeship and have obtained a minimum of a national certificate and an SVQ level 3 (or equivalent) in a related building discipline preferably carpentry and joinery. To find out if we are currently recruiting for Maintenance Engineers, to find out more about the different roles and to apply, please visit our Current Vacancies page.